Online retail sales in South Korea last year rose by 15.9 percent from the previous year, keeping up double-digit expansion streak and far outpacing growth of 6.8 percent in overall retail sales, as more turned to online shopping with enhanced fast delivery and pay systems. The Ministry of Trade, Industry and Energy announced that the nation’s major retailers saw their combined sales increase by 6.8 percent in 2018, with offline sale rising 1.9 percent and online 15.9 percent. Online sales accounted for 37.9 percent in the entire sales in the retail industry, up by 2.9 percentage points from a year ago. Excluding big-box stores, revenue for the country’s brick-and-mortar shops increased last year, but at a slower pace than online malls. The number of local convenience store grew from 34,163 in December 2017 to 35,676 in December 2018, while their total sales gaining 8.5 percent over the same period. The so-called super supermarkets (SSMs), small supermarket chains operated by retail conglomerates, saw their sales expand 2.0 percent thanks to brisk sales of ready-made meals. Sales of department stores rose 1.3 percent as large home appliances and furniture sold well last year despite poor sales in fashion accessories and clothing. Big-box stores witnessed their combined revenue drop 2.3 percent, hit by rising popularity of online stores and specialty shops. 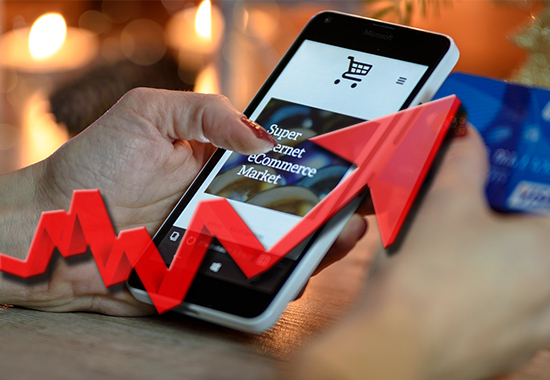 As Korean consumers find it more convenient to do shopping online than offline, online sales increased 19.2 percent and revenue of online shopping platform also rose 14.7 percent. Industry experts believe the rapid growth was driven by fast delivery and simple payment service. Copyrights Pulse by Maeil Business News Korea. All Rights Reserved.